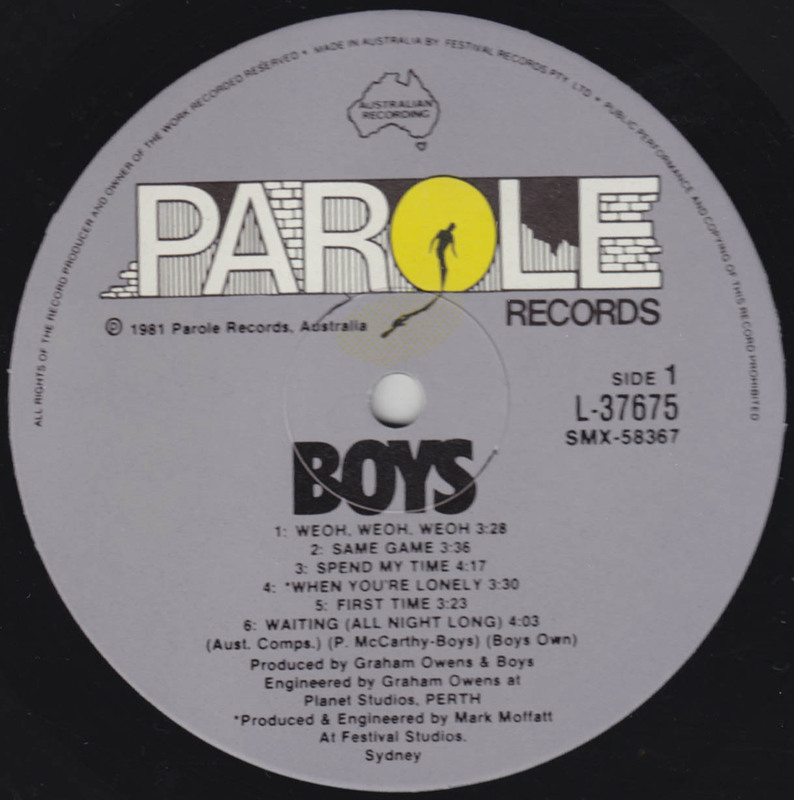 The Boys were a hard rock band originally from Perth, Western Australia. 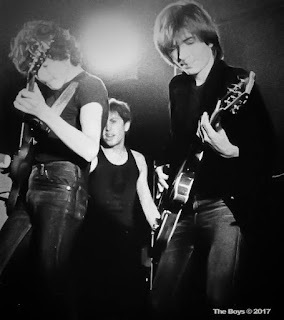 Boys originally formed by guitar playing siblings, Lino and Camillo Del Roio, whilst still at high school as the Rockhouse Corporation in 1977 and started out as a cover band playing mostly top 40 rock but then progressed into playing original songs. 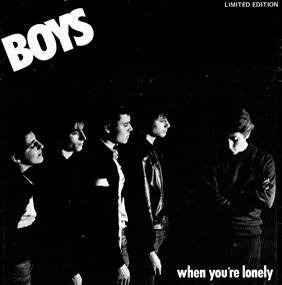 "When You’re Lonely" was the first single released in August 1980, with the single going to No. 1 on the local charts and reaching No. 52 on the national singles charts. In September 1980 the band appeared on Countdown. The Boys released two further singles, "Hurt Me Babe" in March 1981 and "Weoh Weoh Weoh" in September 1981, which reached No. 57 and No. 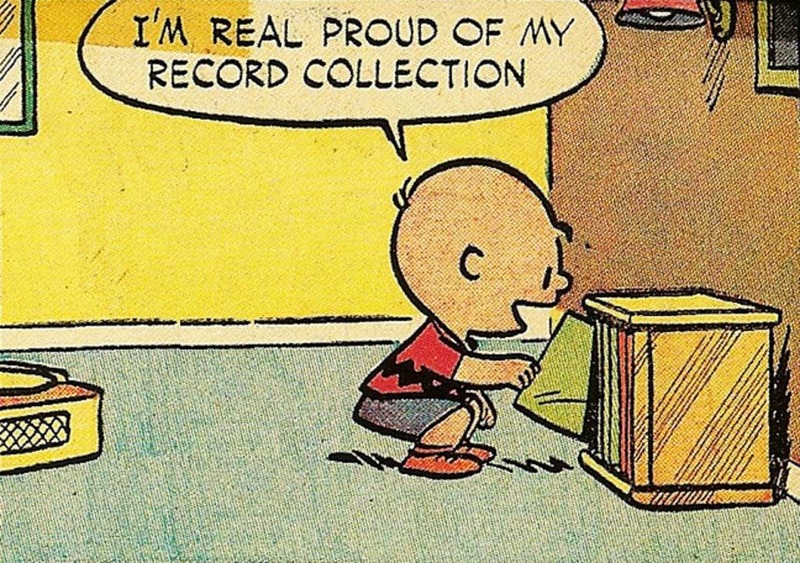 76 on the national charts. The band released their self-titled debut in November 1981. In September 1982 they released, "Don't Say No", which was followed by their second album, Inside the Cage, in December 1982. The band's original singer for the first album, Brent Lucanus, was replaced by Wayne Green (Wayne Green and the Phantoms) on their second album. They were also the support act for the 1982 Kinks tour. A further single, "Lonely Dreamers", was released in March 1983. The original band went through several line-up changes but brothers Camillo Del Roio and Lino Del Roio were constant members throughout. The band split in 1983 but reformed in 1987 with Camillo and Lino on guitar, Eddie Parise on bass, drummer Frank Celenza, Tony Celiberti as keyboardist, and singer, Troy Newman (Extremists). A year later the band changed their name to Boyschool but split soon after. Following the band's break up guitar playing brothers Camillo and Lino formed D.D and the Rockmen with Celenza and the DeMarchi sisters Suze and Denise. The band's drummer and bassist, Celenza and Parise, went on to form Bamboo Curtain, before joining Baby Animals. Troy Newman moved to Sydney following the band's break up and found moderate success as a solo performer, scoring a Billboard hit with the single "Love Gets Rough" and the album Gypsy Moon in 1991, released through Atlantic imprint East West Records and by Warner Music in Australia. He released a second album, It's Like This, in 1996. Newman died in March 1997. Perth Local Boys Make Good ! The "Marfioso" heavily guard the stage at the back and the sides so eager hearted young women can't close in on their hard hitting idols. "Older" women swing to the music, enjoying themselves while filling in time till the end of the gig when they can proposition the band members, some almost ten years their junior. On stage, with two hands on the microphone, the vocalist leans forward and growls into the tuned-in audience, then breaks into the deep throated lyrics of well known rock songs. His friends' dark hair, t-shirts and jeans give nothing away about the personalities and life-style of the band members. Only the youthful faces tell the packed gig they're not your usual hard nosed, weathered rock stars.The Boys, Perth's newest breath of fresh air-on, the music scene, are aptly named — they are still only boys. friends, neighbours and anybody else who would listen. They were searching for the elusive dream to which every young hopeful aspires — to be in a rock band. With another friend, Tony Cimino, they formed a reasonable group, but something was missing. Brent Lucanus (20) was the answer. In true "Boys" style another friend brought him to jam at a garage gig. 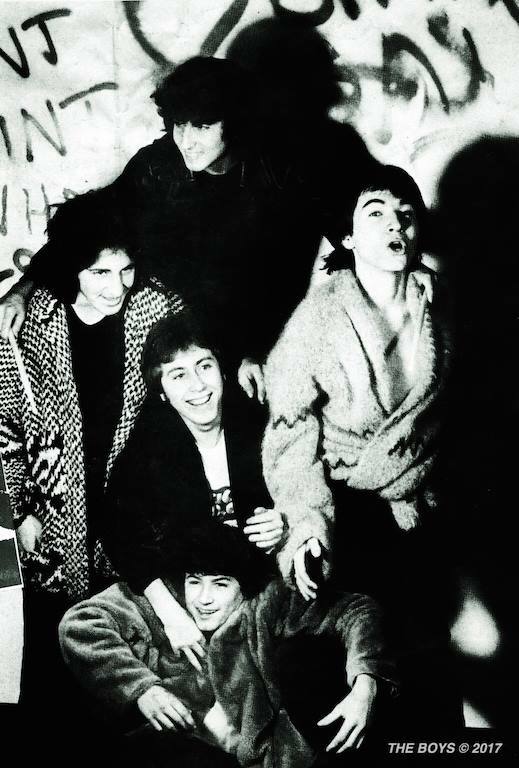 Brent laid on Jon English's "Hollywood Seven" broke the ice and dissolved the need for a vocalist. After a little persuasion ("Because I thought they were all too young for me," he said), Brent joined the embryonic commercial music band. After about nine months of gigging in the garden learning rock 'n roll, Elvis and Status Quo numbers and taking the name Rockhouse Corp, they began playing at occasional club gigs. 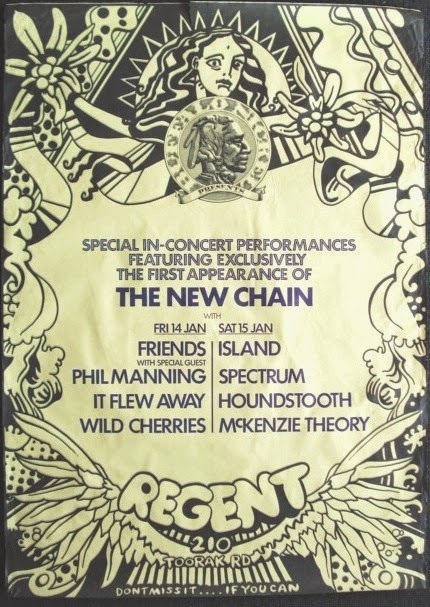 The change in venues from clubs to pubs came after persuading a resident band of a suburban hotel to let them do a bracket with them - The manager of the band was so impressed with the young talent, he put them on to play Thursday nights. "We ended up pulling bigger crowds than their band," said Brent. "The manager used to take the door money and give us only $90 for each gig which we used to pay off our $2000 loan on a PA."
After six months of being managed themselves, The Boys realised they weren't getting anything in return for the cut in their wages, and split with their manager. It was a hard time for The Boys. At the tender age of 16 they were on the verge of breaking up. They were getting stale and found gigs weren't coming easily. The band's real break came when they realised that Elvis was dead, so long live the Angels. The discovery paved Perth's yellow brick road to success. They got into the Angels, Sports, Stones, Bowie and Dylan, producing about 35 per cent heavy R 'n' R.
At that time the line-up changed when the drummer left to travel overseas. The new drummer a friend of a friend again was Carmelo Sailazzo (17). He offered a new sound and The Boys became a much tighter band. Only two months ago their fancy professional clothes reverted to basic black home style jeans and T-shirts. A chance meeting with local band man-user David Zampitti, and they were on their way. "At first he wasn't interested when he found out how old we were, and didn't think we would have anything going for us," said lead singer Brent. They have had a lot of work offers around the pub scene since then and are becoming well known, well loved musicians. Times have changed for The Boys. When they began Brent drove a dry-cleaning van and the rest were at school. Now Robbie has an extra job as an apprentice motor trimmer, Lino works as a clerk and Carmillo is the only one still at school. Even though they're making good money from the band work, they don't live up to the image of rock "stars". The Boys maintain a youthful lifestyle. They all Jive at home with their parents, don't spend excessively, nor do they drink alcohol. Free time is usually spent with friends or going to movies. The clean living has helped The Boys tread the path of success and they haven't looked back. The Boys are one of the bands most likely to succeed on a national level. They have youth on their side and their potential is being noticed by quite a few recording companies' local branches. But there is no rush to run into the recording studio, after all, even after having time to write and learn original material. The Boys will still be boys. This post consists of FLACs and MP3 (320kps) ripped from vinyl (thanks to Deutros) and includes full album artwork and label scans. 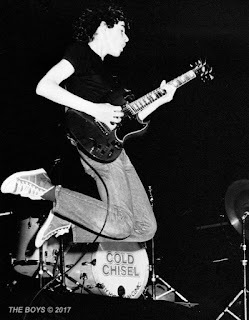 As a bonus, I have also chosen to include three B-Side singles that did not appear on their album and as such represent some rare treats, because they are all 'kick arse' songs (thanks to Sunshine). 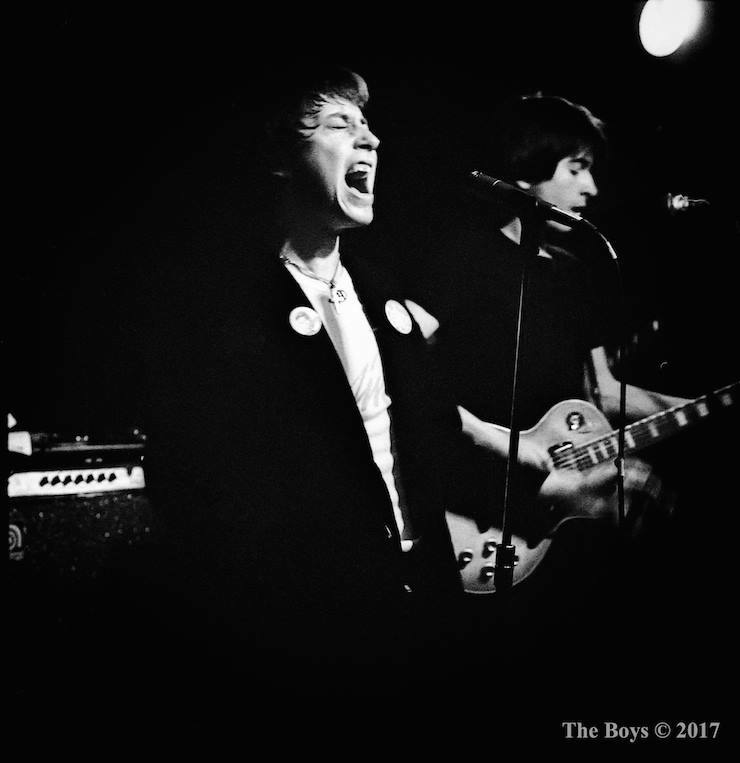 I would also like to acknowledge the source of the above live photos of the band as coming from the Boys official Facebook Page.